Hey, Hey, Everyone! Wow, check out what Jen made! They are absolutely without a doubt adorable and that's an understatement. I love the pink and green colors . . .by the way happen to be my favorite color combo. . .and my goodness that dog is so cute. Be sure t scroll down to view the rest of Jen's creation. Jen did a fabulous job on the Tote-ally tote. . .she even added her own twist to the handles.. That's what I call creative. Jen is a blogget as well. . .her blog site is called "Pieces of Me" and she's been one of my "Featured Blogger of the Week". . .her link is also located at my sidebar. Jen is from Hawaii like me although I've never met her. . .we met through visiting each other's blog site. Where was she when I was living in Hawaii? Anyway. . .back to her blog site. She has a lot of things going on there. . .wonderful creations such as this tote, lovely cards, projects, and like me, she has a lot of tutorials for you to look through and perhaps create yourself. She also has swaps and challenges for you to participate in. Be sure to drop by her blog site and say "hello". 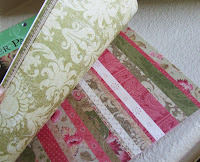 If you are interested in creating this tote yourself. . .Click Here for the tutorial. If you are interested in participating in the blog candy. . .Click Here for the details. Time is running out. . .last day for submission is tomorrow! Hey Everyone! Whoohoo!! Check out Allison's submission! 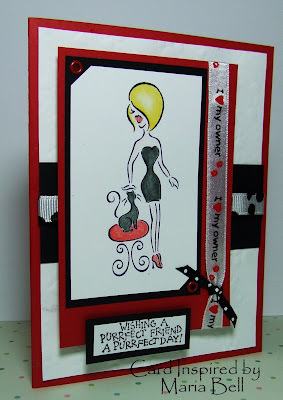 Wow, she did a spectacular job on with her card. She decided to use a sketch that I posted way back in March. I love the colors she used to create her card. She used a Bella stamp as her main image. I still have not bought the Bella stamps. . .I will soon after I use some of the many other stamps that I already have. I'm terrible at buying a lot of stamps and don't have the time to actually use all of them. I need to cut that bad habit out. Anyway. . .back to Allison. . .for those who don't know Allison and her blog site. . .well, you're definitely out of the blog world loop. . .Allison's "Stampin When I can" is the one stop place for all rubber stamping and card making blogs. . .she links on a daily basis tutorials, blog candies, challenges of other bloggers so you don't have to look all over the place for them. She also has her own lovely creations for you to look at so if you haven't come across her blog site yet, be sure to visit her site and you'll see why her blog site is so popular. 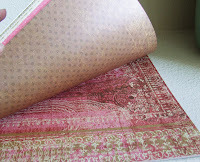 Her blog site was also my "Featured Stamper of the Week" and the link is located on my sidebar. Thank you Allison for your participation! If you're interested in participating in my blog candy. . .you still have time. Click Here for the details. I stamped the piggie image on to a beige tag then colored the image with Prismacolor Pencils then outlined or highlighted it with pink opaque gel pen. Nothing much to this card. . .it's a 15 minute card. The stamp is by "Penny Black" and the paper is by DCWV. Honestly, I don't like this card. First of all, I didn't have a sentiment to go with the image. Secondly, I colored the image with a bright funky color combo but when I put the cards together, I didn't like the colors together but there was no turning back. The stamp image of the girl is by the "Angel Company" and the sentiment is a Michael's $1 stamp. The paper is by DCWV. Just a bunch of cards I made using the "Angel Company" stamps! I thought they were really funny. The first one says "Of all the things I've ever lost, I miss my mind the most". I used pretty much the same materials for the card below. I call these quickie cards because when I made them I sort of just slapped the layout together. After making so many cards, laying out the design no longer is a time consuming thing. I don't sketch first then create the card. All my sketches are created after I put the card together so the sketches are CASE'd from my cards. The layouts are a random process most of the time. Here are super quickie cards I made. . .it took about 15 minutes to make them. I think cutting the edge with shaper scissors can make a simple card look like it took more effort to make. Check out Pat's submission for the blog candy. 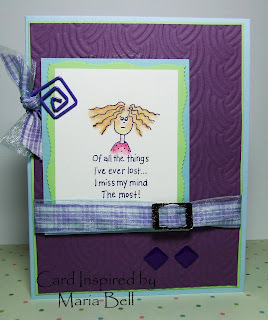 She used my latest sketch from my Stampin Inspiratons blog site. I put Pat's submission on this side because she used a non-Stampin Up image. I love the colors that she used to create the card. The flower looks great! Very pretty. Pat has a blog site which she started in April and she's doing a great job on her site with her lovely creations. 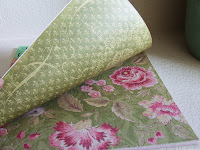 Her blog site is called "Pat's Paper Creation". . .be sure to stop by and say "hello". I really didn't have a good sleep last night. A heavy metal table fell on my left foot and right toe yesterday. Oweeee! After the initial shock and pain, I didn't think much of it and continued whatever I was doing at that time until I looked down and noticed my toe was bleeding profusely. Oh, how annoying! Now I walk with a limp and I can't wear a shoe. I also didn't sleep well because I sleep on my tummy. . .unfortunately, when I turn on to my stomach, my foot has to turn too and this puts a lot of pressure on it. Such is life. . . Anyway, if you are interested in participating in my blog candy . 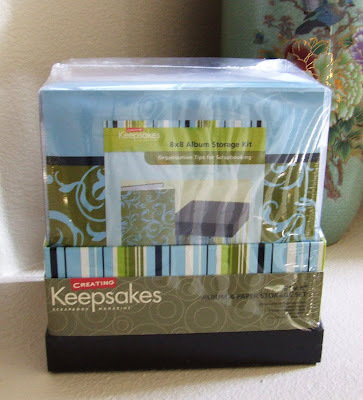 .Click here for the details and Click Here for the picture of the prize. 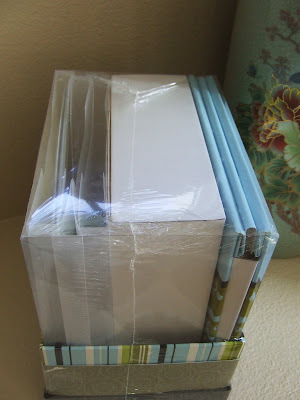 If you decide to create a card or project using any of my tutorials, you have a chance to win the 8x8 Album Storage Kit as well as a 12x12 K& Company Double Sided Designer Paper which contains 36 double sided paper. 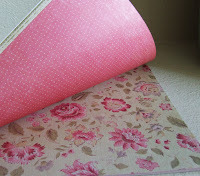 The designer paper is so beautiful and are thick similar to cardstock quality. 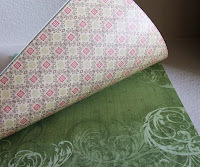 If you scroll down, you'll see a sample of the designer papers. There's more but I just took a picture of few of them. They're beautiful. Anyway, good luck! The drawing will be on June 2nd! Hey Everyone! I have another blog candy submission and this one is by Mara! Wow, love the cool color combo. I love pink with brown. Mara did a wonderful job with this sketch. It's very colorful and happy looking! It's a wonderful birthday card! 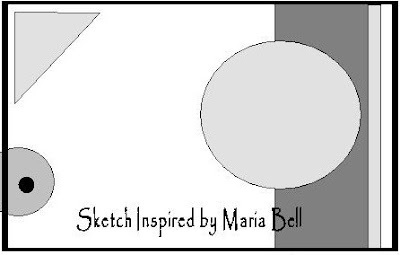 Scroll down to view the sketch she used to create the card. I don't know if Mara has a blog site because she didn't add a link to her blog site with her submission. If she don't have one, she should start one - based on her submission, it looks like she does wonderful work. 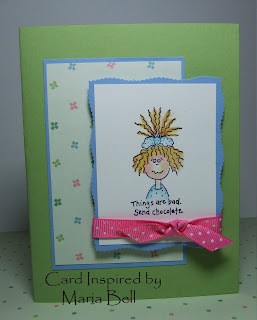 Don't forget to stop by my Stampin Inspirations blog site to view other blog candy submissions. 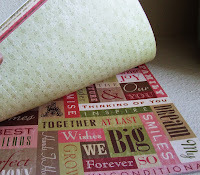 If the submission uses a Stampin Up image, I post it on Stampin Inspirations. . .in the case you're wondering why I have some submission posted on one blog site and others on the other. If interested in submitting your work and participating in my blog candy. . . .Click Here for the Details. I'll be posting the prize some time today. I hope you like the prize I have to offer. Until later. . .hope y'all are having a wonderful Memorial Day! I did create a few cards today. The stamps used for these cards were from the Angel Company. I think the stamps are really cute but don't you think the lady looks a little bit like a drag queen? Haha! If you want details on the card, email me. 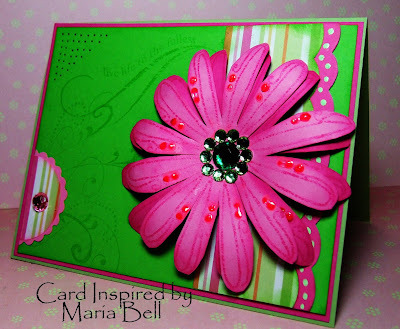 . .
Don't forget to scroll down and check out my guest stampers who are participating in my blog candy. . .check out their beautiful card. Hey check out Jan's Blog Candy submission! She not only used my sketch, she used the same stamp! So cool! 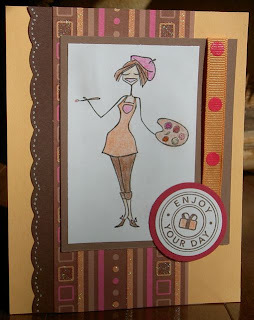 Check out the card below - that's the card I made and the sketch she used to create her own card! She did an awesome job! Jan has her own blog site that she recently started. It's called "She's Gone Stampin'". 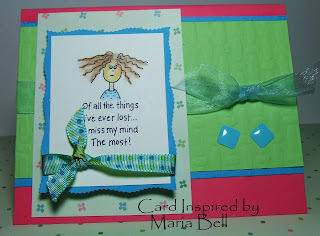 Although her blog site is new, she already has a bunch of wonderful cards for you to look at! 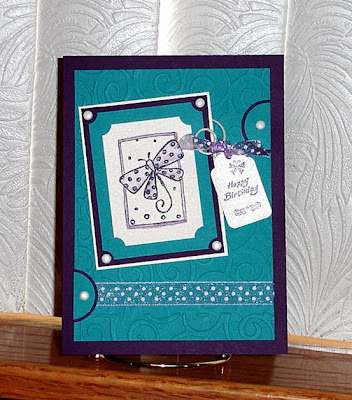 She creates cards using stamps from a variety of companies. Her cards are great! Be sure to drop by and say "hello". Thank you Jan for participating in my blog candy and for the wonderful card submission!! Hey take a look! Tejal decided to try one of my tutorials. 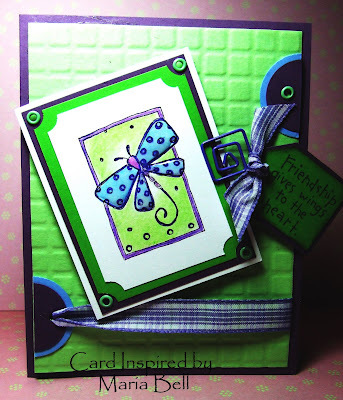 She decided to try my "Fun Shaker Card" Tutorial posted on my Stampin Inspirations blog site. I automatically submitted Tejal's card (scroll to yesterday's post) she made a few days ago because she used one of my card sketches but she decided to do another card. Her card is so cute. She really loves bears. 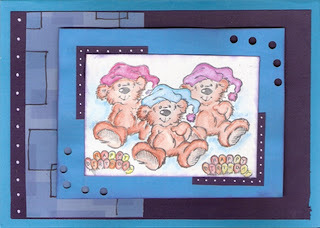 If you check out her blog site "Creating New Expressions Everyday" you'll see she has bunch of bear cards! I love bears too and I actually have quite a few bear rubber stamps. If you're wondering why I have the Blog Candy Submissions posted on either this blog site or my Stampin Inspirations blog site. . .well. . if you submit a card with a Stampin Up image, it will be posted on to my Stampin Inspirations blog site. . .any other stamp images or paper crafting will be posted on Card Inspired. Hey Everyone! I wanted to show off Cheryl's submission. She decided to try out the Accordion File tutorial. I think she did a splendid job! I love all the bright colors. . .if you don't know me by now, I love bold and bright happy colors. Cheryl is a blogger as well! Her blog site is called "Engineered Expressions" name after the fact that she was an Engineer turned SAHM. She's relatively new to blogging. . .she started in April. 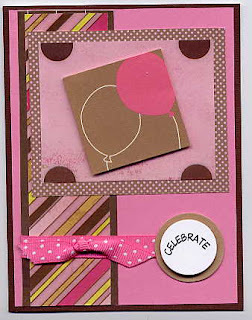 Her blog site is moving along really well with her great card creations and scrapbooking projects. Give her your support and visit her blog site. Bloggers need your support. . .just say "hello". Sometimes we need encouragement to keep going, especially the newbies. Anyway if you want to participate in the blog candy. . .Click Here for the Details! Hi Everyone! Look at what Tejal made using my sketch below. I think this is the sketch that she used. 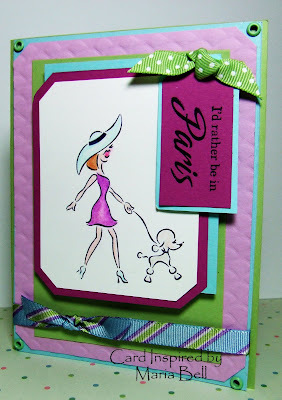 She sent this picture of her card to me the other day before I decided to do the Blog Candy. She sent it to me to cheer me up a little because I was feeling creatively slumpish. Is slumpish a word? I'm not sure but it was so sweet of her to do that. 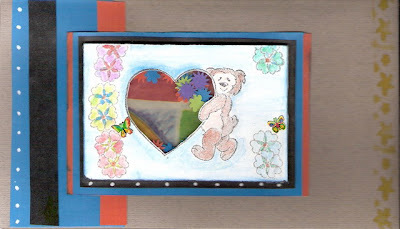 I decided to enter her into the Blog Candy because she did send a picture of a card that used my sketch. Tejal lives in India. . .wow, that is way, way far away! Isn't that cool! She also has a blog site called "Creating New Expressions Everyday". She's very talented not only with rubber stamping but also drawing. 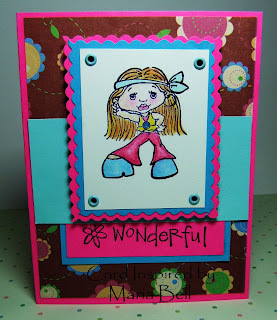 She's been blogging her work long before I knew there were people blogging their card creations! She's been blogging since February of 2006. Sheesh. . I'm a newbie compared to her. Anyway, stop by her blog site and check out her wonderful creations! If you are interested in participating in my Blog Candy, Click here for the details. I know y'all love Blog Candies so I decided to do a blog candy to celebrate my 500 subscribers to both my blog sites! Can you believe it? 500! I never would have imagined that I would have even close to that amount but the other day, I checked Feedblitz and there it was! I had hit a milestone! 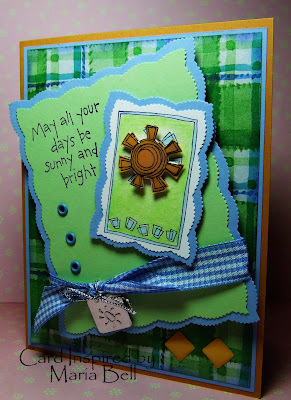 The email reader counter shows 371 for my Stampin Inspirations blog site and 267 for Card Inspired. The numbers are funny that way because there are some readers who subscribe to only Stampin Inspirations, some to just Card Inspired, and there are those who subscribe to both but the total amount of unique subscribers are currently at 503. I have a JoAnn and Michaels coupons so I'll go shopping tomorrow for the prize. Okay. . .how do you participate in this blog candy. . .ummmmm, well. . .this is where it will get a bit tricky. . .haha! 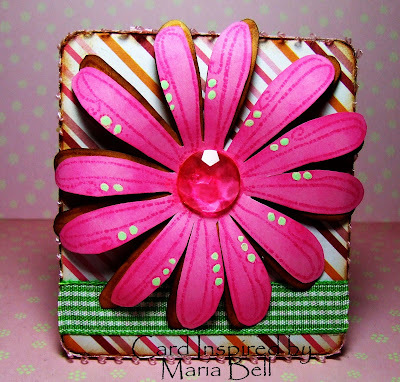 There are two ways to participate. . .I've posted, I believe close to 30 tutorials on both or either blog sites (Card Inspired and Stampin Inspirations). . .to participate, create a card or project using one of my tutorials and send me a picture. The second way to participate is to create using one of my sketches from either blog site and send me a picture. You shouldn't have any problems finding a sketch because to date, I've posted close to 200 sketches, therefore, you have a lot to choose from! 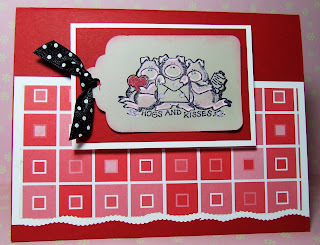 Please let me know the date of the post and which blog site (Card Inspired or Stampin Inspirations). If you are using the compiled monthly Sketch Challenges, let me know which number and which month! To determine the winner, I will randomly choose by pulling a name out of a hat. The prize will be based on whether the card was from one of my sketches or one of my tutorials. 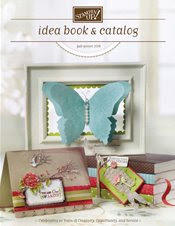 If the winner created a card or project from one of my tutorials, I will add an extra prize! I will post the prize tomorrow or Sunday! I'll be sure to make the prize worth your effort! Deadline for the card or project submission will be Friday, June 1st and the drawing will be on Saturday, June 2nd! Email your submission as a picture attachment to lbmcd66@hotmail.com. I will post pictures of all submissions on to my blog site! If it's a Stampin Up image, it will be posted on my Stampin Inspirations Blog Site and if it's a non-Stampin Up image, it will be posted on Card Inspired. 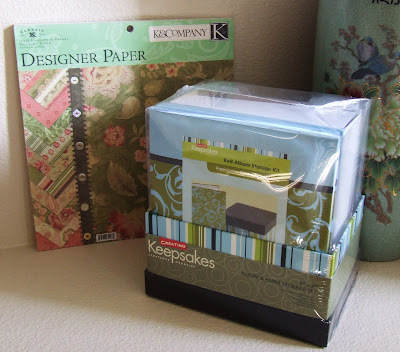 It don't have to be rubber stamped. . .it can be any type of paper crafting as long as you follow any of my sketch or tutorial! Hope y'all participate! I really, really am dying to see your work! 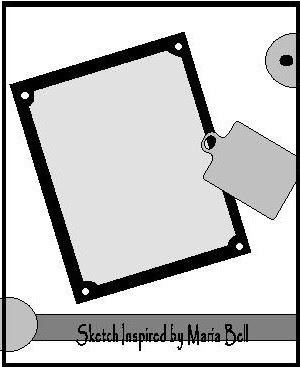 Do you have a stamp set or stamps that you're not sure what to do with because either they are too small or you're just not "feeling" them. You know what I mean? In other words, you don't really like the image but you have the stamp and need to use them. Well. . .this is what was happening with these stamps. I really like the sentiments in this set but I think the images were more appropriate for tags or smaller cards. The Stamp set is by the "Angel Company". They're a stamp company similar to Stampin Up but I think they have a very lax Angel Policy so you can sell your cards without having to worry if you are violating any copyright laws. I needed to be a little more imaginative or creative with these stamps, especially with the layout. In the end, after I finished the cards I actually had grown to like them. Back to the subject of "Angel Policies". . . .don't you think it's sort of stupid? I think so. . .I mean, isn't the intention when buying rubber stamps is to copy the image using ink and shouldn't you be able to sell your cards in any fashion you want or any venue? I mean. . .it frustrates me to think that I buy an expensive rubber stamp and I'm restricted as to how I use it. I feel once I buy the stamp, it's my stamp to do whatever I want with. Right? I sometimes feel like the stamp companies still own my stamps even after I paid good money for them. Anyway. . .don't forget to scroll down for the two other cards I made with the stamp set as well as the sketches for the cards. I would type the detail but I have to cook dinner right now. . . I added Crystal Effects to the image on the first card. I drew the stems and cut out the leaves and drew the veins on them myself. 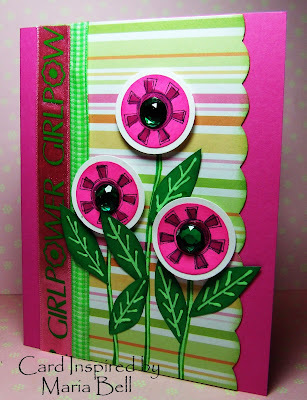 I used rhinestones for the center of the flowers and I used a 1 inch and a 1 1/4 inch circle punch to punch out the flowers from the original image which had a border around it as shown on the first card. After coloring the image with Prismacolor Pencils, I added Crystal Effects to give it a 3D appearance. Sometimes you gotta add a little somethin'-somethin' to make the image pop, otherwise, I think it would have been a dull looking butterfly. Good morning! 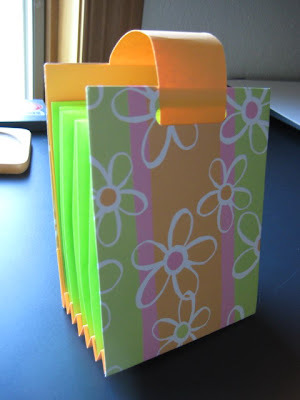 To get out of my creative funk, I decided to create a post-it note holder using a square tin container. I bought a bulk of empty cigarette tin from Ebay to alter. The tins were very cheap and are great for altering. The tins are 3 1/2 x 3 1/4". I was going to bid on a bunch of empty Altoid tins but decided not to until I used the square tins. I bought these tins about 4 months ago and did not create any projects with them until now. I was a little lazy so I just decided to just insert a square Post-it Note pad. My intention was to create an accordion card to insert into the tin but decided the Post-it Note pad was a great insert because it fit perfectly. You can find a lot of great deals on empty used tins on Ebay. Considering a brand new tin at scrapbook stores of this size can run up to $5.00 each which I find to be absolutely ridiculous. Because the tin had writing on it, I painted the sides using acrylic paint to cover it up. 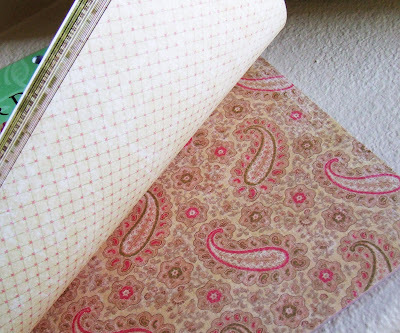 I then covered the top with scrapbook paper and the edge of the cover with ribbon. I like how it turned out. It's motivated me to make a few more of them. Next time I'll create a small brag book and maybe an accordion card to insert in the tin. I bought a few packages of rhinestones. . .very cheap ones with no sticky backs. You need to use clear glue to attach them to your card. Forget rhinestone brads. . .sheesh, a pack of 10 brads can run close to $4.00 which is just way too expensive for my taste. It's ridiculous when the rhinestone cost more than the rest of the materials needed to create the card. I found a few packs of rhinestones at Walmart and JoAnns that were on clearance and have been using them to embellish my flowers. It adds a bit of bling-bling to the flower. . .I love them! A pack of over 200 rhinestones run about $3.00 to $5.00. Now that's what I call a deal. If I had any advise when it comes to rubber stamping and card making. . .don't get sucked in to the hype of specific brand name products. Many times people promote a product that they are associated with and in truth, you can find alternative products that are less costly and just as beautiful. I do buy certain brand name products when I know I can't find an alternative or of similar quality. The stamp set used for the cards and the tin is by Autumn Leaves - "Word Flourishes" and "Doodle Bloom" which are sold at Target and Walmart. These stamp sets are beautiful. They're clear acrylic and a set run between $9.99 to $12.99. 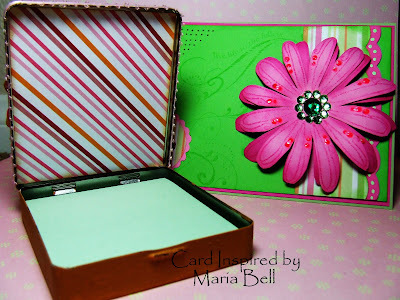 The colors combo is Green Galore and Pixie Pink for the card and for the tin I used More Mustard and Pixie Pink. 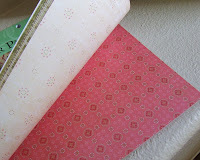 The scrapbook papers are by DCWV.